The entire time, I kept thinking “this would make such a perfect first date!” Despite the fact that it was just us five girls (all married and with kids) wandering the streets of Lucerne’s old town on a drizzly and cold Saturday night, it had all the right ingredients for the perfect cultural night out - medieval architecture, modern art installation, fresh air, good conversation and exercise (Ok, some Prosecco too). 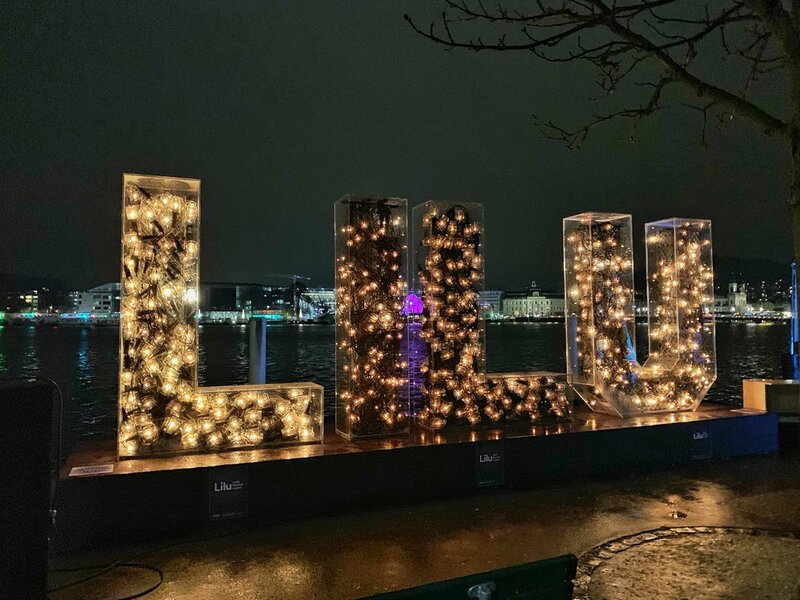 And we thoroughly enjoyed exploring Lucerne’s first ever light festival. Best of all, it’s FREE! 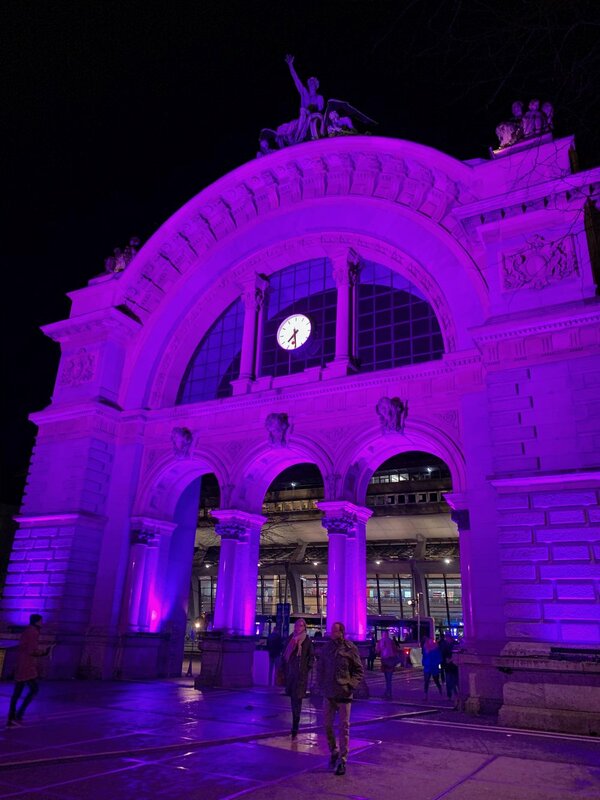 We followed the designated route and started at the Bahnhof (train station), where the famous arch was illuminated in shades of purple. We then followed the map to 17 different spots, all featuring a different art installation. There was one that projected your face kaleidoscope-style onto the outside wall of the Jesuit Church, one that used light to bring a fountain’s statue to life, one that turned the band pavilion into a snow globe, one that illuminated the trees lining the famous Nationalquai and one that created an immersive light show across the ceiling of the massive Hofkirche. Unfortunately the final light show at the Hofkirche was sold out, but I saw videos afterward and it looked absolutely amazing. (Check out the artists’ instagram for photos like this and this). The entire concept was really cool, and it was such a fun night out with girls. The entire route took us about 2 hours, including an obligatory Prosecco break to warm up. I highly recommend checking it out - it’s equally fun as a family excursion or as a date night. The show runs until January 20th and hopefully they bring it back again next year!